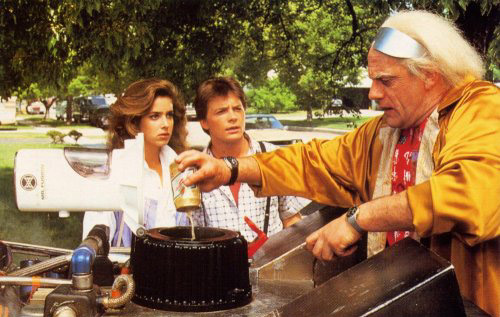 "What is the craziest concoction you ever came up with, on the fly or prepped, to brew with." Thanksgiving Ale, with the same seasonings that go into Mom's stuffing... Think poultry seasoning, with either a Brown Ale base or a Pale Ale base. Might be gross, but who cares? Ginsing, caffeine and multi-vitamin infused low carb beer... A "health" or energy beer? Apple Crisp, capture the flavor of Grandma's apple crisp with a sweet apple/cinnamon flavored beer, that ends with a nice dry crispy finish. Need some malty toasty goodness in there too... Think Macintosh apples, brown sugar, and a kick of hops perhaps? hmmmmmm how about Buffalo Chicken flavored beer? ENOUGH! 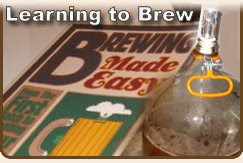 Fermentation Friday is the brain child of Adam from beerbits2 Every month a new topic relating to home brewing is selected and beer bloggers are encouraged to blog about it, typically on the last Friday of the month. I'll be hosting in Dec! I'll be hosting Fermentation Friday in December, so chime in if you have any ideas for a good topic. Right now I'm thinking about something like, "How have you shared the gift of homebrewing?" in keeping with the gift giving holiday season... Or, "How do you involve your love of good beer and home brewing in your holiday celebration?" Any other ideas? Only six more months to go! Earlier in the month, I took the time to teach a buddy (Dave) how to homebrew, with the moral support of another friend (Kenn). 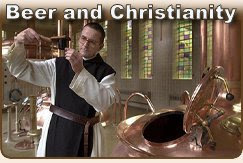 I wanted to teach a man how to "fish" or in this case how to brew... The old saying goes, "Give a man a fish and you feed him for a day. Teach a man to fish and you feed him for a lifetime." For me, it should read, "Give a man a beer and he'll enjoy beer for an hour. 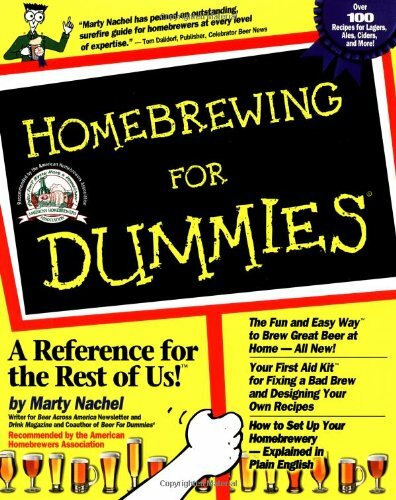 Teach a man to homebrew and enjoy beer for a lifetime." I wanted to cultivate a brew buddy. Mission accomplished on both accounts! And in the process we decided to thumb our collective noses at the hop shortage, and brew up an IPA. Not too bad, but it may need a little more conditioning. Amber in color, slight haze, and a delightful creamy head that clings to the sides of the glass. The hops are apparent, but I could use a little more... (When did I become a hop-head?) The malty flavor adds balance, with a buttery/biscuity finish. This coupled with the "moderate" (moderate for a hop-head) hop level will make this an approachable IPA for those of my friends that aren't quite hop-heads yet. What do you think? Was it worth while doing the Twitter thing? All that aside, I had a blast! 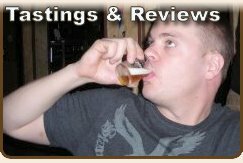 If you get a chance to attend one of the beeradvocate.com sponsored beer fests in the future, I recommend you take advantage of the opportunity. This was a great chance to sample a wide variety of beer, and hang out with some great folks! Look, it's Garrett Oliver, no really, that's him! He poured me a beer! My first stop was the Brooklyn Brewery table. Garrett Oliver poured me a beer and we chatted very briefly. Kenn tried to get a photo of us, but my camera was a little slow, so I got the photo below with Garrett right before he went on stage to give his talk. A very approachable guy, but I'm not sure what he was thinking with that cowboy shirt. Are those hops? LOL! That being said, my second chin decided to pay me a visit for this photo. Good times! What's worse the shirt or my double chin??? The folks at Flying Dog Brewery continue to impress me with their kindness. I recognized Steph, that kind and generous young lady from Flying Dog, that continues to send me samples for my reviewing purposes. They were kind enough to let me go behind the counter, breaking a ACBF rule, so I could get a photo with them. Thanks guys, you're the best! of meeting in the beer industry to date! American Craft Beer Fest's dark secret, the hidden crappers! All that "recycled "beer has to go somewhere folks! Out houses inside... Who da thunk it?!? While exploring the dark underbelly of the fest, I decided to do a quick interview of two fest volunteers. "How do you like working the fest, is it something you'd do again or recommend to others?" They seemed to like working the fest, but my camera card ran out of space. We may never know how this interview ended... But seriously, there were a lot of folks working to make this a great event. Some even had the pleasure of dumping out the rinse buckets... Not glamorous, but critical none the less. Let's give all those worker bees a big round of applause! Is that a secret family hand shake? A very special moment, Kenn (who likes malty beers, and I (a recently converted hop-head), found a beer we could both agree on... Terrapin's Oak Aged Rye Square, bold but balanced! Good stuff! While Kenn was getting cultured, I had to try the Hop Obama. I never pass up a novelty that involves politics and beer, even if the brand of politics differs from my own. But I gotta ask, where are the McCain Ales? What gives here people? Conservatives dig quality beer too... I decided to reach across the aisle and try one of these tasty, left leaning, hoppy brews. Not bad, not bad at all! I had a Presidential IPA (a beer made in honor or Bill Clinton) last week in AR, and now this week a Hop Obama... What has become of me? "Yes we can," enjoy a beer despite our political leanings! 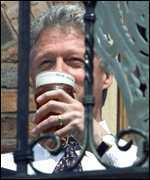 I like the beer better than the politician. Why don't they make conservative beers? Next year, if I attend, I'll get a hotel room in the area and make a night of it. I will say that 4 hours of beer sampling exhausted me. I must be getting old. I could have used a nap after the session, to get my second wind, before taking on the city. Kenn and I hiked over to the Bell in Hand for one more beer and some wings before heading home. All things considered, I'd say a good time was had by all... If you get a chance to try a fest like this in the future, by all means do so... It offers you a great opportunity to explore your beer tastes, try new styles and new breweries. Give it a try! Some final thoughts (a day later) here. I'm heading out to Boston this morning to take part in session 1 of the American Craft Beer Fest with a couple of friends. 75 American brewers, 300 craft beers! What more could a guy ask for? At any rate, I've moved my Twitter updates to the top of my blog, just above this post as a matter of fact! (Unless you looking at this days later after I've posted again, but you get my point.) If you get bored, stop in and keep tabs on me and the American Craft Beer Fest! I just flew home from a week out of town on business, and boy are my arms tired... (cue the snare drum...) No but seriously folks, I really did just get back from Little Rock Arkansas. While I was out there, after my long tedious days in training were over, I took a little time to enjoy the beer culture the area had to offer. Chimay Grand Reserve - Deep amber brown with a full creamy head. Malty with citrus undertones, a nice well balanced beer. A tasty brew to say the least, but the young lady in the catholic school girl's outfit that served me warned me not to steal the Chimay glass it came in... After all, what would the monk's think? We were there on a Monday night, which means the beers on tap were all $2.75 (all day and night) what a deal! While I did not get the chance to visit Diamond Bear Brewery, I did get an ample opportunity to taste a few of their beers at various locations in the area, the hotel lobby not the least of them. Their Honey Weiss was OK... A little light for me, but perhaps something suitable for cooling down on a hot summer afternoon. Their Pale Ale was an all around solid beer, but I think I've been hitting the IPAs a little too much as of late. I really needed something with a more robust flavor, and their Presidential IPA fit the bill nicely. This was the last beer I had in Little Rock. I grabbed a pint on a whim at the air port last night while I waited for my flight home. That hoppy kick in the pants I was looking for was found in this full bodied, but well balanced beer, packed with flavor. Also during the week, I devoured a medium meatball, mushroom and Canadian bacon pizza over a few IPAs brewed and served at Vino's. This is a very unique place, think artsy college coffee shop vibe (complete with local art work for sale on the walls) mixed with a combination of a big city pizza dive and a small local brew pub. The place was small and crowded, yet finding a table was not an issue. We sat next to the glassed in brewery section. And we were lucky enough to get there before the long line out the door formed up. You go straight to the counter when you walk in and order a slice, or a pizza and what ever beers you want. They do eventually send out a waiter to check if you need refills, and we were more than happy to take them up on that offer.